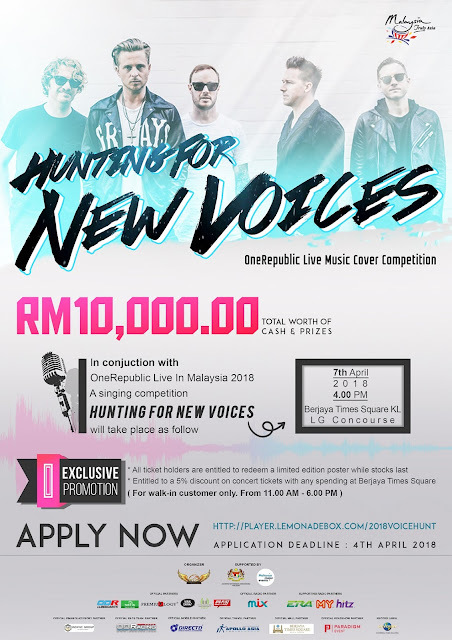 In conjunction with OneRepublic’s upcoming concert in Malaysia, organiser WGW Entertainment is holding a live music cover competition called “Hunting For New Voices”. The competition will be held on 7 April at Berjaya Times Square, Kuala Lumpur from 4pm onwards. Performing either as a solo act or a band, participants have to sing a cover of any OneRepublic song and will be judged based on 4 criteria: Voice Power, Rhythm and Tempo, Vocal Expression and Stage Presence. Participants are required to prepare a copy of the instrumental track in MP3 or Audio CD, or may perform with any musical instrument of their own. 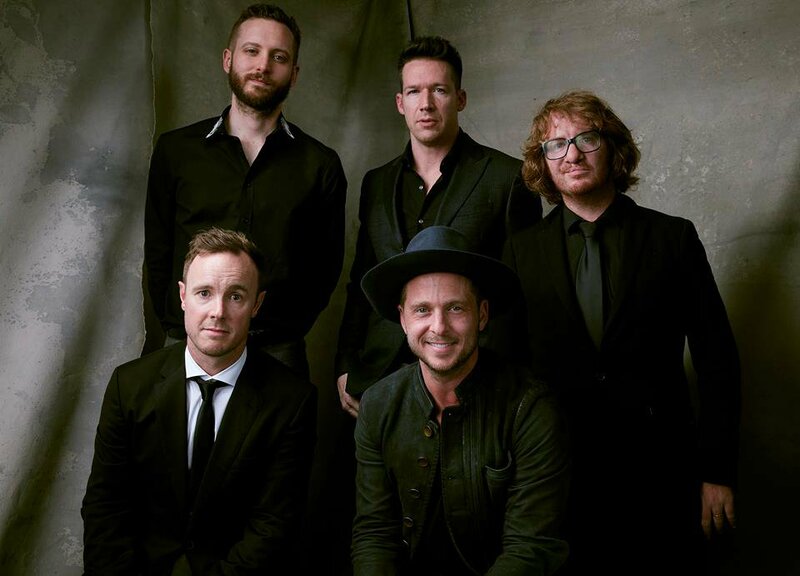 Winners get to walk away with cash prizes as well as concert tickets to the OneRepublic live performance this 25 April. Official poster for “Hunting For New Voices”. Registration for the competition can be made at http://player.lemonadebox.com/2018voicehunt by 4th April 2018 (latest by 11:59PM). There will also be a one-day exclusive promotion on 7 April at Berjaya Times Square from 11am to 6pm. Fans who have purchased the concert tickets will get to redeem limited edition posters while walk-in customers are entitled to a 5% discount off the concert tickets with any purchase at Berjaya Times Square on that day.